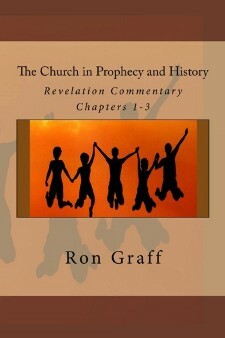 The nation and the land of Israel are the subject of many Old Testament prophecies. Many of them relate to God's plans for the nation, warnings of judgment because of their disobedience, and restoration after they were conquered by the Assyrians and the Babylonians. 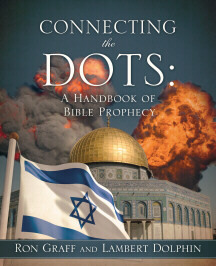 There are also comforting prophecies about Israel's distant future, and especially their role in the future righteous kingdom that will be established by the Messiah. In our lifetime we have witnessed one of the most amazing fulfillments - the promise of Ezekiel chapters 36 and 37 that the chosen people will be brought back from all over the Earth and re-born as a nation. This, of course, was fulfilled in 1948 when, against all odds, Israel declared independence, and with God's help, has been able to fight off enemies on all sides for over 65 years. The current wave of violence between Israel and the Palestinians could die out and become one of many such cycles in the area, or it could lead to more serious war, such as the one predicted in Psalm 83. The outcome of this war could be a most welcome peace agreement. When Israel finally is at peace, it will be the first time since they became a nation in 1948 that they have enjoyed such security. This could cause them to lower their guard, which would set the scene for The War of Gog and Magog predicted in Ezekiel 38 and 39. This war will most likely correspond to the 2nd Seal of Revelation 6. President Trump is preparing to formally declare Jerusalem the capital of Israel and order a review of the best way to move the U.S. Embassy from Tel Aviv, two officials said Thursday. Six months later — on May 14th, 1948 — David Ben Gurion formally declared Israel’s independence. This Thursday marks the centenary of the Balfour Declaration — a one-sentence, 67-word letter from Britain’s then foreign secretary Arthur Balfour that threw London’s backing behind a permanent homeland for the Jewish people in Palestine. Oct. 25, 2017 - The Palestinian Authority continues to violate the Oslo accords which created it and still funds it. The Palestinian Authority, the self-governing body that rules the West Bank (Judea and Samaria), hailed a terrorist named Ahmed Al-Jamal, for murdering three Israelis. Twenty-four hours later, the PA was welcomed into INTERPOL. Oct. 21, 2017 - Following a recent episode in Syria, where Syrians fired a SAM-5 anti-aircraft missile to try to bring down an Israeli reconnaissance plane, Israel demolished their missile battery. This raises the issue of Russian presence and influence in Syria. Russia has an airbase at Khmeimim and a naval base in Tartus. Russia maintains a formidable military presence in Syria. Israel and Russia maintain cordial relations but a miscalculation by a jittery Russian technician sitting behind a computer screen could trigger a clash between Israeli and Russian forces. Iran will take over the Jordan Valley unless Israel maintains a military and civilian presence in the area, Prime Minister Benjamin Netanyahu said on Thursday night at a jubilee event marking the 50th anniversary of the state’s control of the region. Sept. 30, 2017 - This Sunday is the annual Day of Prayer for the Peace of Jerusalem. Christians will “cry out to God on behalf of Israel and its people. “It is expected there will be at least 175 participating nations and 500 million believers praying,” [according to] officials with Liberty Counsel, a religious rights organization that officially supports the Middle East democracy. Sept. 24, 2017 - After Iran tested a ballistic missile that can reach Israel, Israeli Prime Minister Benjamin Netanyahu has called for a special meeting of his security cabinet. On Saturday, Iran said it had successfully tested a new medium-range missile, in defiance of warnings from Washington that it is ready to ditch the landmark nuclear deal over the issue. Netanyahu will also brief the cabinet on his recent discussions in New York with President Trump and Egyptian President Abdel-Fattah el-Sissi. Sept. 20, 2017 - While Israeli Prime Minister Benjamin Netanyahu was preparing to address the United Nations General Assembly in New York, a drone-- made by Iran and operated by Hezbollah-- flew into the demilitarized zone in the Golan Heights which separates Israel and Syria. Sept. 19, 2017 - A small American military presence has been established within an existing Israeli air force base. The base's opening is largely symbolic and isn't expected to bring operational changes. But the Israeli military says that along with other measures, it sends a message of readiness to Israel's enemies. Satellite Images Show Destruction at Syria's Missile Factory After Alleged Israeli Strike ... The alleged Israeli strike took place exactly 10 years after Israel took out Bashar Assad's nuclear reactor. A senior Israeli official warned the Russian government that if Iran continues to extend its reach in Syria, Israel will bomb Syrian President Bashar Assad's palace in Damascus, according to reports in Arab media. "Iran continues to threaten Israel's existence, and it funds terror organizations and missile plans," Netanyahu told Putin. "Wherever ISIS disappeared, Iran has taken over." Aug. 23, 2017 - President Trump is sending a delegation to the Middle East to address the Israeli-Palestinian conflict, extremism and the humanitarian crisis in Gaza. His son-in-law and senior adviser Jared Kushner will lead the team. They plan to meet with leaders from Saudi Arabia, the United Arab Emirates, Qatar, Jordan, Egypt, Israel and the Palestinian Authority. Trump’s sending the delegation to try to take advantage of a period of relative calm following violent clashes last month over Israeli security arrangements at the Jerusalem shrine known to Jews as Temple Mount. Aug. 20, 2017 - According to Barcelona's chief rabbi, Meir Bar-Hen, the terrorist attack there shows that Spain has been a "hub of Islamist terror for all of Europe" for years. "This place is lost," he said. "Don't repeat the mistake of Algerian Jews, of Venezuelan Jews. "Better [get out] early than late... Europe is lost." The rabbi urges them to buy property in Israel. Aug. 4, 2017 - President Trump sees the relative calm in Jerusalem as an opportunity to send three of his top envoys to the region to encourage peace talks. Trump’s senior adviser and son-in-law Jared Kushner, Special Envoy for International Negotiations Jason Greenblatt and Deputy National Security Adviser for Strategy Dina Powell will all soon head to the Middle East. The trio will discuss the way forward with leaders from Saudi Arabia, the United Arab Emirates, Qatar, Jordan, Egypt, Israel and the Palestinian Authority. Israeli jets struck two Hamas targets in the Gaza Strip overnight Tuesday, injuring at least three people, hours after a rocket fired from the Palestinian enclave hit an open area in southern Israel. Kissinger cautioned that ... driving out the Sunni terror group would leave a “territorial belt reaching from Tehran to Beirut” that Iranian-trained Shia forces could occupy. Aug. 6, 2017 - A US Senate committee introduced the 'Taylor Force Act'—a bill, which, if approved, will suspend US financial assistance to the Palestinian Authority as long as they provide incentives for terrorism. The Palestinian Authority has "enshrined in law" a system that creates a monetary incentive for acts of terrorism by paying monthly stipends of as much as $3,500 to Palestinians who commit acts of violence and to their families. Aug. 1, 2017 - In the wake of rioting in Jerusalem over the use of the Temple Mount, brave Jewish worshippers flocked to the area to observe Tisha B'Av, the annual Jewish day of mourning over the destruction of the biblical temples. The site is also the location of the Al Aqsa Mosque and the Dome of the Rock. It is administered by Muslims. Jews can visit the area but not pray there. Azzam Khateeb, director of the Muslim administration, the Waqf, says 870 Jews visited. He said "this is unprecedented, unacceptable and should stop." July 22, 2017 - The Middle East Quartet (Russia, the US, the EU and the UN) called for peace in Jerusalem. they "strongly condemn acts of terror, express their regret for all loss of innocent life caused by the violence, and hope for a speedy recovery to the wounded." July 23, 2017 - Following the deaths of two Israeli policemen and three Jewish family members, Israeli authorities have placed closed circuit security cameras at the entrance to the Temple Mount. Palestinian officials are yet to react to the installation of the security cameras. There has been speculation that they are meant to replace the metal detectors, but Israeli security sources have been quoted as saying that is not the case. July 22, 2017 - Taleb Abu Arar, an Arab Member of Israel's Parliament, complained about the placing of metal detectors at the Al-aksa Mosque, and the killing of three Palestinians following weekly prayers in Jerusalem. Jerusalem maintains that Iran is not only interested in sending military advisers to Syria, but also is keen on establishing ground and air bases there... He said that Israel would oppose any agreement [for] a permanent Iranian military presence there. July 10, 2017 - According to Israeli IDF Military Intelligence chief Maj.-Gen. Herzl Halevi, Iran is helping Hezbollah produce its own advanced missiles and other weapons systems, which they are now illegally transporting to southern Lebanon. Over the past 11 years, Hezbollah’s missile arsenal has become an unacceptable and ever-growing strategic threat to Israel. Whereas in 2006 Hezbollah’s missile arsenal numbered some 15,000 rockets, today it fields approximately 150,000. Jun. 18, 2017 - Naftali Bennett, the leader of Israel's conservative Hayehudi party, is calling for legislation that would make it harder for Israel to divide Jerusalem as part of any future peace deal with the Palestinians. He told a television reporter, “There cannot be a compromise regarding Jerusalem because it must stay united forever." The Trump administration is considering withdrawing from the United Nations Human Rights Council over what the US ambassador described as its biased stance against Israel. Jun. 6, 2017 - Nikki Haley, the US Ambassador to the United Nations, will address the UN Human Rights Council in Geneva today. Speculation has mounted that her speech will warn members to rectify its “anti-Israel bias” or face a hostile United States prepared to withdraw from the body. No one should consider this step to be in any way a retreat from the President's strong support for Israel and for the United States-Israel alliance. President Trump made this decision to maximize the chances of successfully negotiating a deal between Israel and the Palestinians. Netanyahu Vows: Temple Mount Will Stay Under Israeli Sovereignty "Forever"
During a celebration for Jerusalem Day at the Israeli Knesset, marking the 50th anniversary of the capital city’s reunification, Prime Minister Benjamin Netanyahu vowed the Temple Mount and Western Wall would remain under Israeli sovereignty. May 17,, 2017 - U.S. ambassador to the United Nations, Nikki Haley, told a CBN reporter that she agrees with President Trump's campaign vision of moving the U.S. embassy in Israel to Jerusalem. "Obviously, I believe that the capital should be Jerusalem, and the embassy should be moved to Jerusalem, because ... all their government is in Jerusalem,"
A newly preserved pre-state memorandum by some of the leading figures in the American Jewish community suggests that unlike today, prior to the establishment of Israel, American Jewry embraced Israel’s claim to the historic Jewish homeland, including Jerusalem, Judea, and Samaria. Israel is battling to prevent a public-relations victory for the Palestinians at the UNESCO Executive Board in Paris, which is expected to disavow Israeli sovereignty over Jerusalem on Independence Day. Study this 15 part series from Zola Levitt's site on the History of Israel by Dr.Thomas S. McCall. 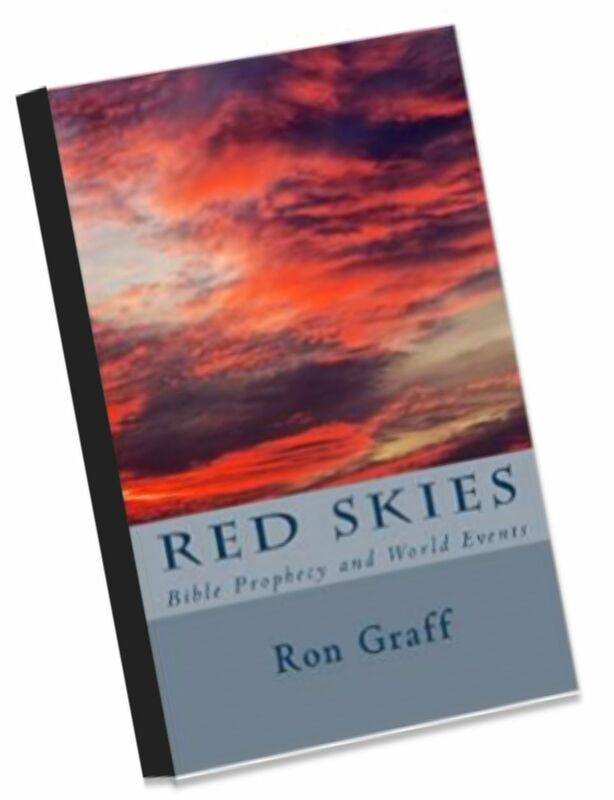 Demonstrates the historical reliability of the Bible through archaeological research and related apologetic investigation. Copyright 2004-2017 by Ron Graff. All rights reserved.